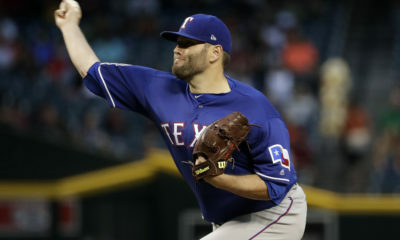 The Texas Rangers (42-58) lost two of three against the Cleveland Indians (54-44) at Globe Life Park. Third baseman Adrian Beltre hit a RBI double, his 12th, in the first inning of the series opener. Right fielder Shin-Soo Choo hit a RBI single before designated hitter Willie Calhoun hit a RBI single in the second. 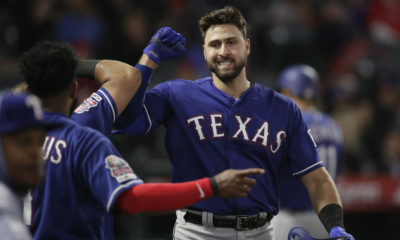 In the fifth, catcher Robinson Chirinos hit a RBI single before left fielder Joey Gallo hit a two-run home run, his 23rd, in the seventh. Finally, Chirinos hit a solo home run, his 12th, before Gallo hit a solo home run, his 24th in the ninth. Texas lost 9-8 in 11 innings. Lefty Martín Pérez allowed six runs, two walks and struck out four in 5 1/3 innings. Then, the bullpen combined for three runs allowed, two walks and two strikeouts. Beltre hit a two-run home run, his fifth, in the seventh of game two. Finally, first baseman Ronald Guzman hit a RBI single in the eighth. Texas lost 16-3. Choo’s on-base streak ended at 52 games, following Saturday’s game. Starter Bartolo Colon allowed five runs, a walk and struck out two in 4 2/3 innings. Then, righty Austin Bibens-Dirkx allowed 11 runs and a walk in four innings before left Alex Claudio struck out the lone batter he faced. 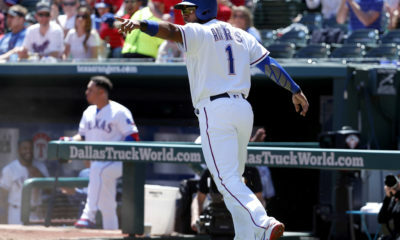 Second baseman Rougned Odor hit a RBI single in third of the series finale before he drove a run in with a sacrifice fly in the fifth. Then, Odor hit a solo home run, his seventh, before outfielder Ryan Rua hit a solo home run, his eighth, in the eighth. Texas won 5-0. 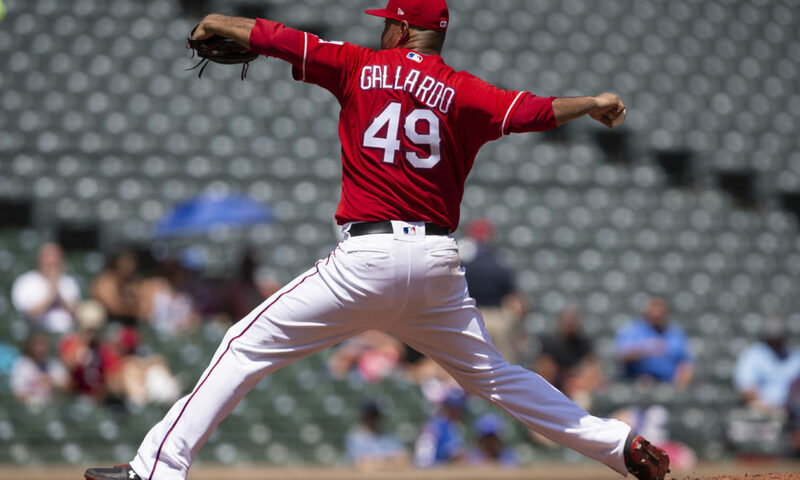 Starter Yovani Gallardo struck out four in six scoreless innings before three relievers each pitched a scoreless inning and combined for three strikeouts. 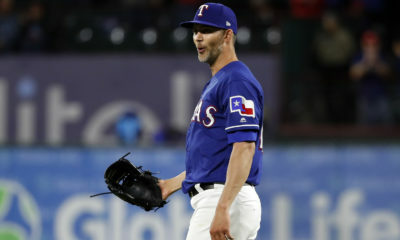 The Rangers will finish its homestand with a four-game series against the Oakland Athletics (57-43) at Globe Life Park. Thursday- Franchise 2, 1560 AM or 107.9 Tulsa at 7 p.m.